Research/_01 — Reverse Engineering - Trilo. Final major project proposal is what concludes this term for us, but it hard to understand what to do if you have never done it before. So to kickstart our progress, we were assigned to take existing artwork and try to reverse engineer it creating a project proposal for it. 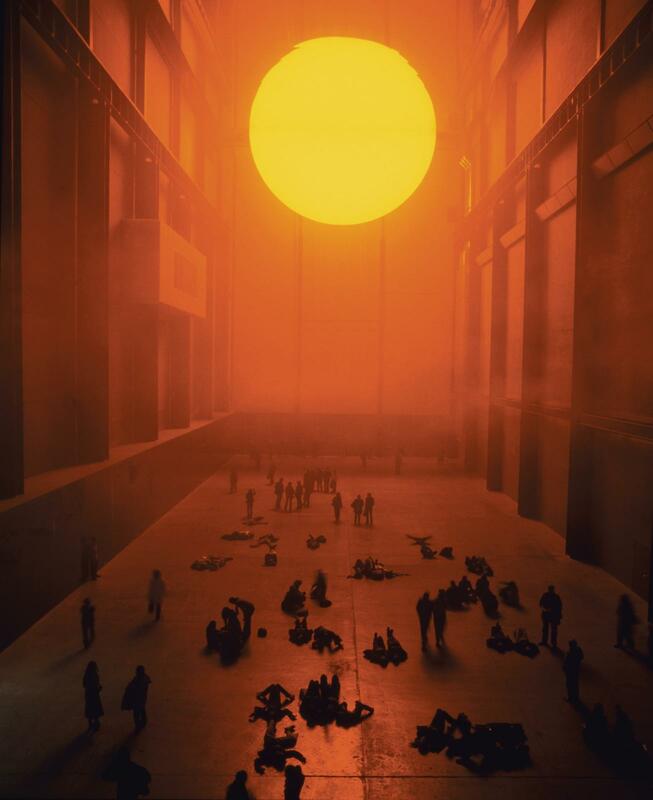 My choice is the installation of one of my favourite artists Olafur Eliasson, which called “The Weather Project” and was presented to the audience in 2003 at the Tate Modern. Wind, rain, sun – as one of the few fundamental encounters with nature that can still be experienced in the city. He is also interested in how the weather shapes a city and, in turn, how the city itself becomes a filter through which to experience the weather. Included: global warming; how city influences the weather within it; how people perceive the weather, the city they live in and how they influence on it. Over the last century, the world’s climate has been changing, causing drastic impact on our planet. And it all is happening because of people’s actions. If we won’t consider this issue immediately it could make our planet inevitable soon. At the moment, said the issue of climate change is highly topical in press, so the artwork could increase the effect and awareness of the society. — Interviewing people on their thoughts about climate, city life and their impact on it. — Analysing the data on climate change. Transferring the weather impact form outdoor inside the building. Create an installation which provide the significance of the issue through the scale. // Cannot be defined without artist.